This user was certified a WikiArtisan by Kruhly. Mark is a Senior Consultant for CORE Education and has been involved in eLearning at a national level for much of the last two decades and is a regular speaker throughout New Zealand, Australia and the United Kingdom on topics such as leadership and culture, future-focused schools, effective teacher professional development and classroom practice. At the heart of what he does is a desire to work with schools to work out what separates highly effective organisations from the rest, particularly when it comes to helping every person be the best that they can be. Implementing strengths-based leadership and helping organisations innovate are two things he’s particularly passionate about. 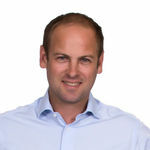 Prior to joining CORE, Mark was part of the foundation leadership team that developed one of New Zealand’s leading future-focused schools, Albany Senior High School. As part of that team he worked with the others to develop the culture, build capacity among staff and write the curriculum, teaching and learning and assessment systems. Mark also established the country’s first open source high school and an innovative bring your own device programme in 2009. Mark has helped dozens of schools to launch their BYOD programmes and to ensure their teaching practice is aligned to make the most of the digital age. Mark founded Emerging Leaders Aotearoa as a vehicle to help grow leadership within the profession and now works with a network of people to turn all schools into ‘awesomeness incubators’. This team runs EduIgnite evenings around the country and a two-day unconference ‘Ignition’ once a year to foster innovation in the profession. This extract is licensed under the Creative Commons Attribution-ShareAlike license. It uses material from the article "Testing", retrieved 16 April 2008. Research can be defined as the search for knowledge or as any systematic investigation to establish facts. The primary purpose for applied research (as opposed to basic research) is discovering, interpreting, and the development of methods and systems for the advancement of human knowledge on a wide variety of scientific matters of our world and the universe. Research can use the scientific method, but need not do so. This extract is licensed under the Creative Commons Attribution-ShareAlike license. It uses material from the article "Macbeth", retrieved 11 September 2010. This page was last modified on 14 April 2014, at 02:59.